At any given moment, I'm wearing at least seven different pieces of jewelry, and those only constitute my base layer. What can I say? I'm a jewelry girl through and through. I take a certain pleasure in discovering new brands that are creating something no one else can really capture, and for that, my jewelry collection has grown immensely. I may play favorites with certain brands in my jewelry box, but I'm not alone here. Whenever I wear pieces from the following brands, nine times out of 10 it warrants a curious "Where did you get that?" or two. Since I was getting my fair share of inquiries about my accessory collection, I thought it'd be best to share them all in one place. Below you'll find the six indie jewelry brands that garner the most interest from family, friends, and even strangers. 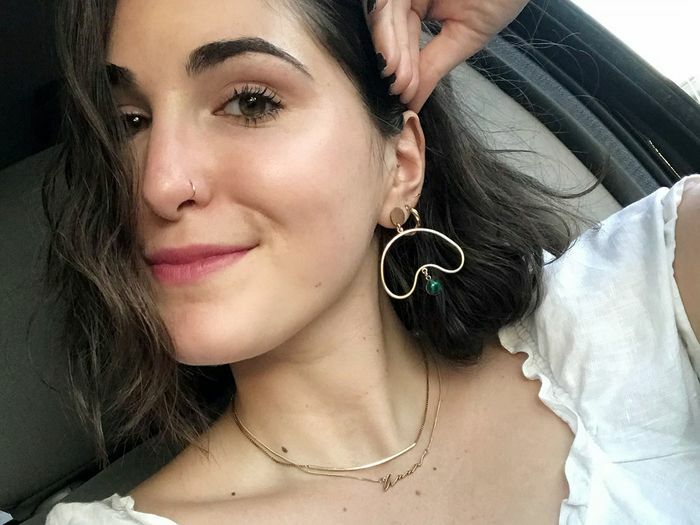 From a line of art-inspired earrings to the newest brand I discovered that stocks the kind of cool hoops you need at least five of, they all have one thing in common: You'll have a hard time not earning compliments when you wear them. Are you curious yet? Keep reading to shop them all and see how I style pieces from each of them. Alex Jewelry Studio, the namesake label of NYC-based jewelry designer Alex Diamond, dreams up the kind of statement pieces polished in silver or gold that I'd always imagined a wiser, grown-up version of myself wearing. Whenever I stack both Pebble Rings, the unexpected silver and gold duo always catches people's attention. The art history major in me jumped for joy when I discovered the artful earring selection from WkndLA. Its playful shapes are total attention-grabbers and tend to stand out from the rest of the plain gold hoops in my arsenal. It's no wonder people clamor to know where they're from. Okay, Mango's hardly an unknown brand, but I'd venture to guess that many of you are yet to be acquainted with its stellar jewelry selection. I'm particularly a fan of the earrings and statement necklaces which always hit on the big jewelry trends of the moment. 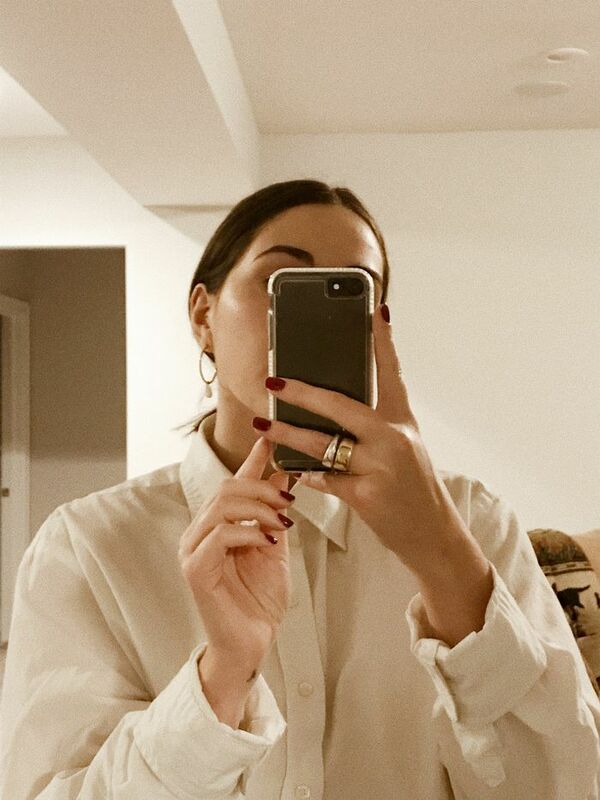 I came across this Toronto-based jewelry line thanks to Instagram (the power of social media, people). As a religious wearer of gold hoops, I appreciate the little details in the brand's hoops that make them feel special, like a pearl charm or a twisted band. There's unique jewelry, and then there's jewelry that literally can't be re-created. Enter Capsul, a line of custom 3D-printed jewelry. The above signature necklace? It's printed based on my very own handwriting. How fun is that? Cadette's Female Form necklace is a personal favorite, but people also go out of their way to compliment me on its lovely sculptural shape. It's pieces like this one that I go to Cadette for—designs that feel ladylike in a really modern way. Next, see the affordable ensemble that just changed my airport-outfit formula forever.